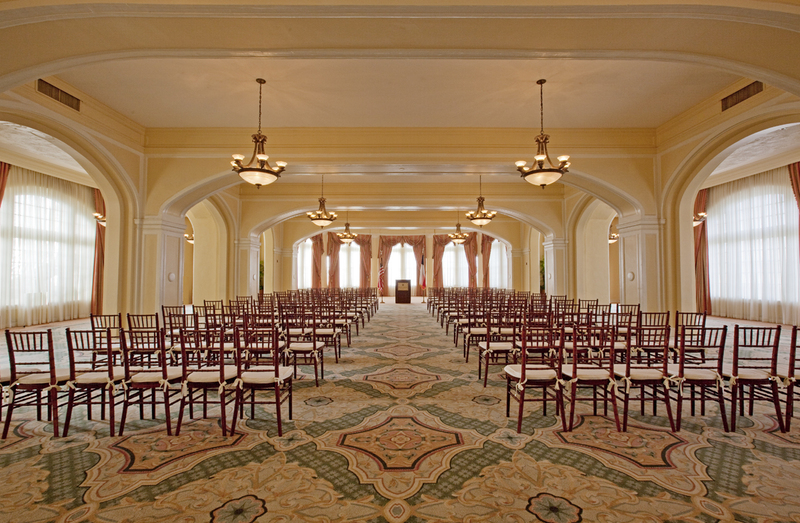 Hotel Galvez & Spa®, A Wyndham Grand® Hotel, is the only historic beachfront hotel on the Texas Gulf Coast. 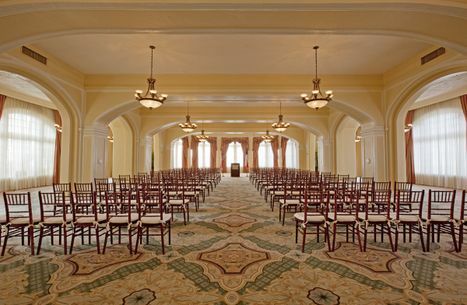 This 224-room, 104-year-old historic hotel offers 13,231 square feet of meeting space, a 9,763-square-foot spa, fitness center, full-service restaurant, lobby bar, heated pool with a swim-up bar and Hall of History. The hotel is rated four diamonds by AAA and is owned by the Cynthia and George Mitchell family as part of Mitchell Historic Properties. For reservations, call (409) 765-7721, or visit www.HotelGalvez.com. As Hotel Galvez & Spa and The Tremont House are sister properties, this gives planners the flexibility to utilize space at both hotels in a way which best suits the group’s needs. The hotels are roughly a five-minute drive and approximately 1.5 miles apart. Hotel food and beverage staff is continually working to provide new and creative menus for meeting planners. New menu options include themed breaks; refreshing beverages such as fruit infused house-made soda and build your own stations. Both hotels continue to make strides to be a “green hotel.” All guest rooms at Hotel Galvez & Spa and The Tremont House include an energy management system that programs rooms for appropriate temperature and lighting when occupied and unoccupied. The system gives guests control of the room’s temperature and lighting, which can be managed with a bedside remote or controller at the door by simply pushing a “Home” or “Away” button. The hotel also uses low flow shower heads and encourages guests through its Earth Smart towel and linen replacement program to reuse items rather than have them replaced daily. Staff uses eco-friendly cleaning supplies and both hotels participate in the Clean the World Program to recycle soap. Additionally, Hotel Galvez offers a limited number of Wyndham Clear Air allergen friendly rooms and both hotels are non-smoking properties. Hotel Galvez and Tremont House guests can enjoy free Wi-Fi in their rooms and in the lobby area. The hotels also have a courtesy shuttle that is available to transport individual guests to The Tremont House located in the historic Strand District and to Harbor House located at Pier 21or from these properties to the Hotel Galvez. Hotel Galvez also offers complimentary bicycles with helmets for cruising on the island. The hotel’s in-house transportation and excursion company, Galveston Shuttle Bus can assist with transportation for groups; and their sister company Galveston Charter Boats specializes in a variety of water recreational outings. From groups of 6 to 12 on a sailboat, deep sea fishing in Galveston bay, or dinner cruises complete with catering they have the pricing and availability to add the little something extra to any event. Hotel Galvez & Spa® and The Tremont House have partnered with several local entities to provide recreational group opportunities near the hotel. • Surf Lessons: Surf lessons are available through the nearby Ohana Surf and Skate which is a two-minute drive or short walk from the hotel. Surf Parties include a “Learn to Surf” video orientation prior to a two-hour group surf lesson. Surf boards are provided. Ohana offers surfing lessons for groups of 10 which includes two instructors. Additional instructors can be added for larger groups. Ohana requires 48 hour notice to schedule group surf lessons. • Kayak Tours: Eco-Tour Kayak Adventures are available through Artist Boat. The hotel is an eight-minute drive to East Beach Lagoon which is the site of one of the tours. Eco-Tour Adventure is a two-hour tour that includes kayak training, how to fit the PFD (personal floating device) and is guided by certified kayak instructors with a degree in the sciences. Guides identify uses of the bay, native flora and fauna, the primary functions of wetlands and barrier island processes. East Beach Lagoon is an easy paddle in natural wetlands adjacent to the entry of the second largest port in the United States. Tours can accommodate up to 25 participants including equipment and instruction. • SUP: SUP Gulf Coast, located nearby at 29th and Seawall Blvd., offers group classes for up to 12 participants alternating instruction for six at a time and allowing two hours on the paddleboards. They can also offer a combination of stand-up paddleboard rental/instruction with two jet-ski rentals. This outdoor activity is a great way to spend the morning on the beach. • Fantastic Race Galveston: Fantastic Race Galveston is a combination sightseeing tour and scavenger hunt that takes participants on an educational journey through downtown Galveston as they look for clues to their next destination. Races can be arranged for groups with at least one week’s notice. • “Mixology” Competition: Teams are tasked with creating two cocktails during this team building exercise with 20-minutes to complete each concoction. • “Iron Chef” Competition: In the spirt of Tex-Mex cuisine, teams are charged with creating guacamole or salsa with different scenarios in mind. For example, one member could be blindfolded and instructed on combining the pre-prepared ingredients. • “Wine Pairing with Hotel Chef”: Enjoy a wine pairing dinner designed specifically for your group by the hotel’s executive chef. During dinner, the executive chef will talk about the meal and the wine paired with each course. The hotels also carry craft beer by locally brewed Galveston Island Brewery and can assist in coordinating beer tastings with the owner and head brewer. • “Break the Ice” Lawn Games and BBQ: Hotel Galvez’ Centennial Green can be set up for lawn games and barbecue to help groups “break the ice.” Optional lawn games include corn hole (bean bag toss), croquet, and island bowling with coconuts. Hotel Galvez & Spa®, A Wyndham Grand Hotel, participates in the Go Meet™, the world’s most generous reward program for all types of planners. After planners book their group, they have the option to choose between several rewards.